Ladies, if you’re like me, going a day without makeup feels so weird! I’ve been putting in on for so long that it’s just part of my routine. Sometimes it seems like if I didn’t put makeup on then the rest of my day slowly starts to crumble. Makeup really is a release for me though. I love to keep up on all the latest trends by watching Youtube videos and checking the Sephora website daily to see if there’s anything new. This had me wondering why I and many other women love to wear makeup so much. A study was done in France to find answers to that exact question. They asked 70 women of all different ages to partake in the study where they had them complete 4 different questionnaires. The surveys had all sorts of questions about their makeup routine and the feelings behind putting makeup on. They were trying to get at the psychological side of it. Finally, they asked the women to stick to their normal beauty routine. 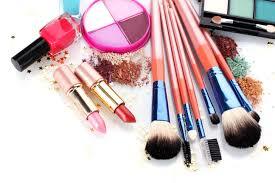 They were allowed to use any kind and as much or little makeup as they wished during the time of the study. The null hypothesis was that when women put makeup on they felt nothing, there were no emotions attached to the practice. The alternative hypothesis was that there were emotions attached and there was a reason as to why women applied the makeup. After sifting through all of the surveys, the researchers came to some conclusions. The surveys revealed two groups that came out on top overall as to why women put on makeup. The first was camouflage and the second was seduction. Camouflage meaning that women use makeup to hide their imperfections and seduction meaning that makeup us used to get others attention. They concluded that women will often times use makeup to cope with emotional and insecurity issues that they face; wearing makeup helps them to feel more confident. So the researchers rejected the null hypothesis and are looking into further studying the alternative. These results don’t surprise me at all, although I don’t think that they are a blanket statement for all women. I wonder if we had done this same experiment with women who had cosmetic surgery done if the results would be the same. Or what if we looked at the clothes that women wear, would those results come out differently? What do you think? Sevtap Aytug, from Turkey, did a study of television, magazines and several other types of media to determine what the big deal is with appearance and makeup. He found that women use makeup as a form of self expression. They just enjoy the process of applying it. I think that both of these conclusions are correct. Every woman is different and wears makeup for different reasons, whether it’s because she is insecure, wants to impress someone, just enjoys the process of it or maybe a combination. No matter what reason, women shouldn’t feel bad about putting makeup on. I believe that women should feel confident in their own skin and if that means covering up some of the areas we may not like so much than go for it! Women should never made to feel bad about their beauty routines! This entry was posted in Uncategorized on October 19, 2016 by Monica Lynn Powell. I definitely agree with your idea. Lots of my friends love to do make up things. Maybe there are some people can not understand why women give up their sleeping time and get up so early just to make up. But make up is definitely a process to start a good mood to enjoy a new day. Make up gives women confidence to work or stand in front of public. It may have some bad influences on skin but it provides lots of benefits to our mental health. Hi Monica! First off I just wanted to say that I loved your blog a lot. I completely agree with both of the studies conclusion’s. Personally, I put on make up for all 3 of those reasons. I am a very very very big make up person. I constantly ask for Ulta and Sephora gift cards and nothing is better than getting a new mascara. But, living in a world surrounded with celebrities and public figures where their make up and self appearance is always spot on puts any girl or guy in a very hard position. Part of me does not care at all what I look like, but its hard not to want to look put together all of the time. As we all know that is EXTREMELY hard to do. Especially in college! There is almost no time for make up. You asked in your blog if we were to study the clothing that women wear if the results would be different. I came across a pretty interesting article that I wanted to share. It talks about the psychological reasoning behind our wardrobe. I found your blog post interesting not because i myself use makeup but rather i grew up with three older sisters and some of my best friends are female. The reason I like your blog so much, is because it touches all the bases. It considers each possibility. Og my friends I have one that hates wearing makeup, one that does it for seduction, and a third who only wears makeup because she LOVES the process of applying it. I’m not joking…she spent 45 mins putting makeup on just to sit in her dorm and watch Netflix. I think that the study you used in your discussion did a good job of supporting your question and you did a great job of incorporating our class material into your discussion. I would be interested to see the development over time of when makeup really came into it’s own and became a popular mainstream aesthetic. I think that might help shed some light on the uses and emotions behind makeup in todays world. As a college aged woman, I do wear makeup, mostly on weekends. However, I’m unlike (I think) most women in that I absolutely hate it. It’s such a chore to put on and I always forever to take it off, leading in a breakout of acne, which is never what you want. I still put it on, weekend after weekend, though, so I wonder about my motivations for doing so. Sure, it makes me look a bit better, but it’s not drastic enough to really keep doing it considering how much I hate it. So the past couple of weekends I’ve decided to NOT wear makeup, in a bit of a social experiment. In short, no one really cared. I feel like, like you said, makeup has been largely reclaimed by women as something they WANT to do. I will of course continue to use makeup in many situations, but I feel less pressured by society to wear it! Great article. The topic of woman and makeup is one I have many questions about. I grew up in a household with two women (my mother and my sister) who [I think] use makeup daily. I think the main reason they use makeup is the camouflage/seduction technique you mentioned. More specifically, my mom uses makeup because she is an aged woman who wants to present herself as youthful in the very discriminatory world of Corporate America. Applying makeup could potentially make herself seem more attractive to interviewers and help her get a job, or it could help her maintain her position because companies will often fire older people because of their age. I assume my sister uses it basically for C/S. However, I do not like the idea that if women do not apply makeup, they feel less pretty. I think women should be proud of their natural self because guys can do it without wearing makeup at all. But there’s a catch-22. There are virtually no makeup products that are marketed to men. This ideology can be attributed the notions that men should appear stoic and “masculine,” while woman should present themselves as pretty and “ladylike.” To be honest, if there were makeup products marketed to men, there’s a possibility I would use them. I used to have acne and I understand the horrible self-loathing and insecurity that accompanies these facial blemishes. I never thought of makeup as a form of “self expression,” but it totally makes sense to me now. It’s a form of expression just like choosing the clothes that you wear. Ultimately, you try to have a style, whether that be something specific or an invention of your own or a combination of the two.